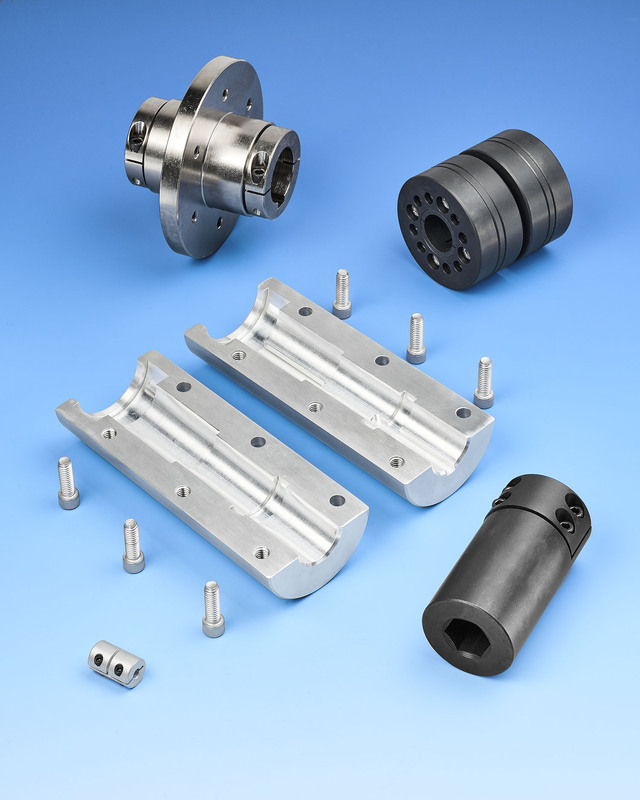 Custom engineered and manufactured rigid shaft couplings that can be modified to solve a wide range of design and load handling issues are being introduced by Stafford Manufacturing Corp. of Wilmington, Massachusetts. Stafford Custom Couplings can be manufactured in 1-pc, 2-pc, and 3-pc designs from steel, stainless steel, and aluminum with various bores to solve a wide range of mating and mounting problems. Featuring axial and annular keyways to transmit torque while retaining lateral motion, their dual-keyed couplings are ideally suited for use with unsupported shafts. Manufactured to meet specified load requirements, Stafford Custom Couplings can incorporate different sized round, square, and hexagonal bores for the step-up or -down mating of unequal unsupported shafts and include mounting flanges. Profiles can be made to match light- or heavy-duty applications and sizes from 1/8” to 6”I.D. are available. PowerRing™ couplings for transmitting high torque loads without keyways are also offered. Stafford Custom Couplings are priced according to configuration and quantity. Price quotations are available upon request.